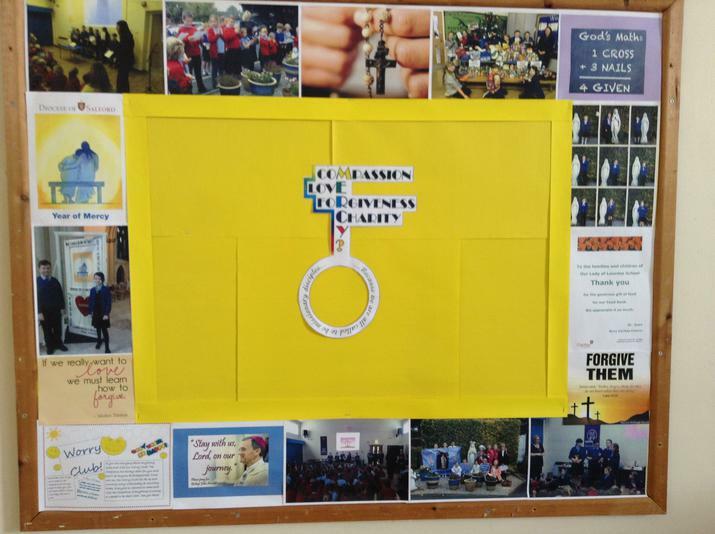 The pupil chaplains continued their theme of Mercy. In their assembly they talked about the challenge Pope Francis had set us to find out why it is important to include Mercy in helping our world to be a better place. The motto being Merciful like the Father. 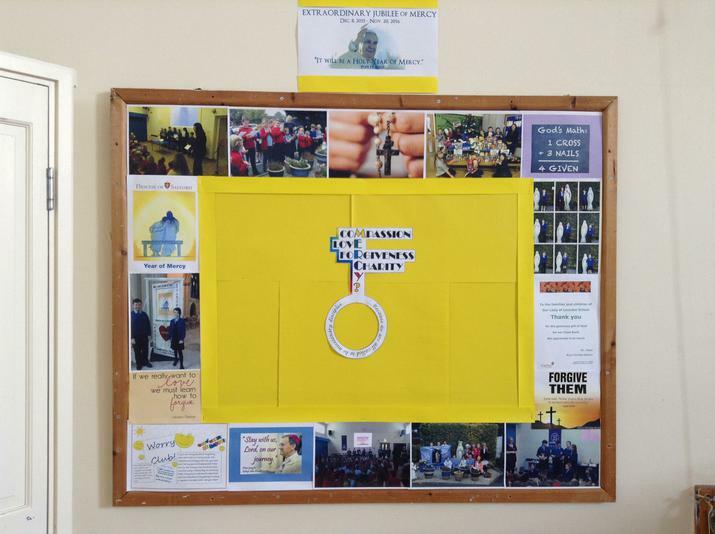 They explained that Corporal Works of Mercy are when we help our neighbours with their material and physical needs e.g. when school collected food and clothes for 'Helping Hands' which went to the homeless and those in need. They also explained that Spiritual Works of Mercy are when we show compassion to our neighbours with their emotional and spiritual needs e.g. when we pray the rosary for them. 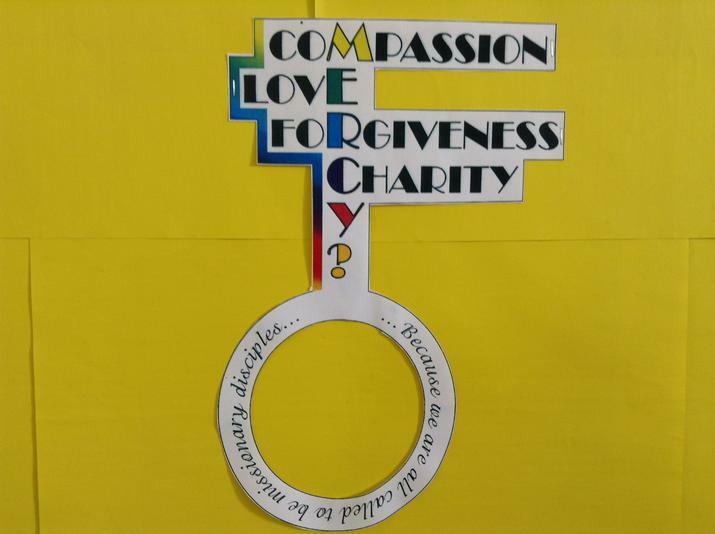 The pupil chaplains announced that they were launching a Worry Club open to all pupils. The club will be run on a 'drop in' basis during Wednesday morning break.